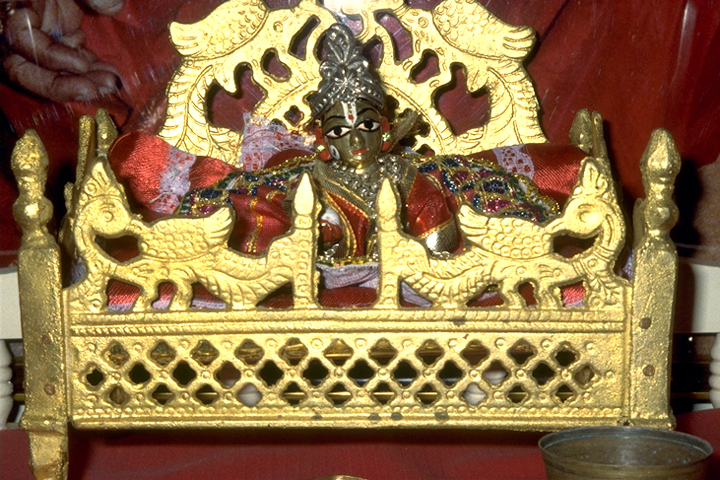 The Hindu tradition is a tradition of the home, and the home altar is an important part of a Hindu household. 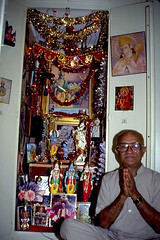 In a suburban home in Wellesley, Massachusetts, a Hindu woman has transformed a large kitchen cabinet into an altar space, where Balaji and the other Deities are present, in the heart of the house, where she works. In Pittsburgh, a devout couple has built a separate room, opening off the kitchen. From south India, they brought wooden doors carved with images of the Gods to install at the doorway to this special home shrine. They spend a few moments in prayer here every day. In Louisville, a biochemist and his wife have created a home altar in what was formerly a closet space off the family room in the basement. In many homes, a small altar table will be set in the living room. Studying the scriptures and singing bhajans in the living room of a private home is still one of the most common expressions of Hindu life. In some instances, the home altar of a particularly devout person, very often a woman, will become a gathering place for a small, informal community of devotees. At the home altar, women exercise both spiritual leadership and priestly roles. Some home altars are constructed especially for the holidays. During Navaratri, for example, many South Indian Hindu women make elaborate altars in their homes, decorating them with tiny colored lights and with a multitude of tiny images—Gods and gurus, people and animals, houses, cars, and trains. Women visit in one another’s homes, admire their altars, sing together and perform pujas. One of the most celebrated days during the festival is Sarasvati Puja, when the Goddess of Learning is invited to pay a visit to the home. School books are stacked at the altar to receive the blessings of Sarasvati. In America, many rites that have traditionally been performed at home are commonly performed in the temple. 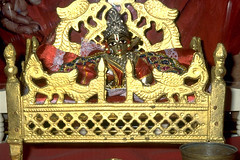 The upanayana rites and the rites of marriage are two examples. Because the Hindu community is scattered and the priests relatively few, the temple has assumed a growing role in the life of Hindus. The fact that new temples are built with large kitchens and social halls signals this new prominence of temple community life. 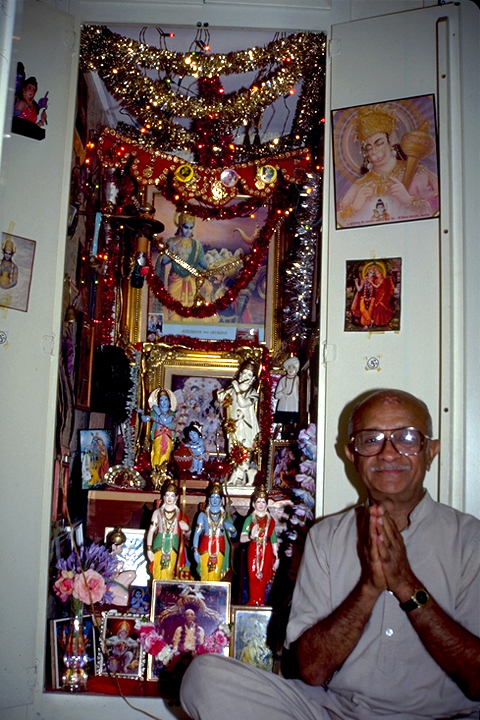 Even so, the home altar is still an important part of the private devotional life of many American Hindu families.